The Education Department’s philosophy of Environmental Education is that knowledge and understanding lead to appreciation and action. Expressing the need for responsible management of natural resources is not enough to instill a sense of responsibility in our society. People need to be engaged in experiences that promote growth and understanding, which lead to changes in behavior and attitude. Programs will be conducted with safety for the participants and staff members being the primary concern. Programs will be positive, wholesome and engaging learning experiences. Staff will plan and conduct activities with the BCCD goals, mission statement and environmental education philosophy in mind. Outdoor areas are conservation lands and as such, all wildlife and visitors will be treated with respect. Illinois has a wealth of natural resources and exploring them can be great fun for children as well as a wonderful educational experience. 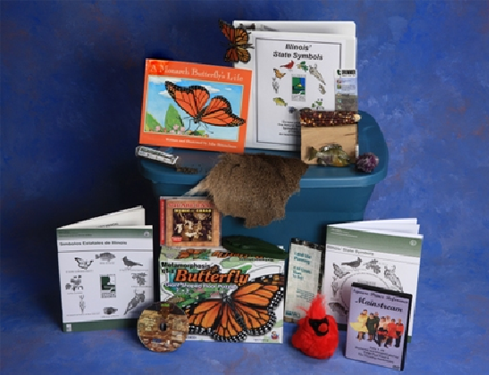 The Illinois Department of Natural Resources offers lending trunks and field trip packs for loan to help you encourage children of grades Pre-K through 8 to take a closer look at the natural world. The IDNR resources listed below is available to loan through the Boone County Conservation District. Fill out the online form here to reserve your materials today! Prairies were once the dominant landscape in Illinois. Now they are very rare. Make your students aware of the wonders of prairies with the lessons and supplemental resources of the Illinois Prairies trunk. Field guides, books, DVDs, posters, bison artifacts and many other items are included. Discover what it was like to live on the prairies by using the pioneer resources. Trunk contents are correlated to the Illinois Learning Standards, and the correlation to the Next Generation Science Standards will soon be available. To see a complete list of this trunk’s contents, Click Here. Are you teaching about Illinois? Then the Illinois’ State Symbols trunk is perfect for you! Photos, replicas, actual samples, activity books, information and other items are included for your use. There’s an Illinois Facts section, too. Trunk contents are correlated to the Illinois Learning Standards, and the correlation to the Next Generation Science Standards will soon be available. To see a complete list of this trunk’s contents, Click Here. Invasive species cause tremendous ecological problems. With this resource trunk, you and your students can learn about why they are detrimental, how they arrived in Illinois and what actions can be taken to control them. 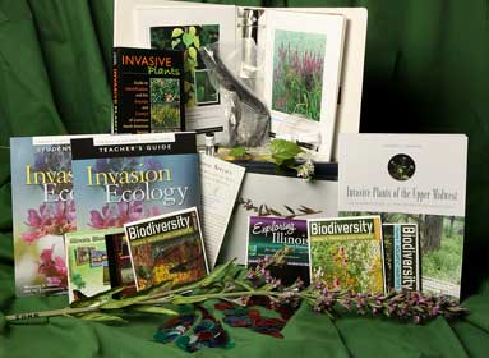 Field guides, books, lessons, DVDs, specimens, replicas and other items are included. Trunk contents are correlated to the Illinois learning Standards, and the correlation to the next Generation Science Standards will soon be available. To see a complete list of this trunk’s contents, Click Here. 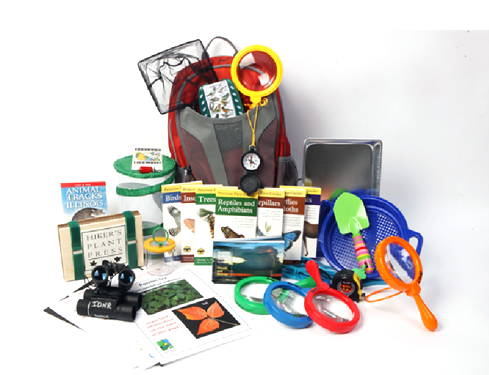 The Field Trip Pack includes many items to assist your early childhood students as they explore nature. Hands-on equipment will encourage self-initiated learning. Suggestions for teachers on how to incorporate natural resources activities into your lessons are also included. 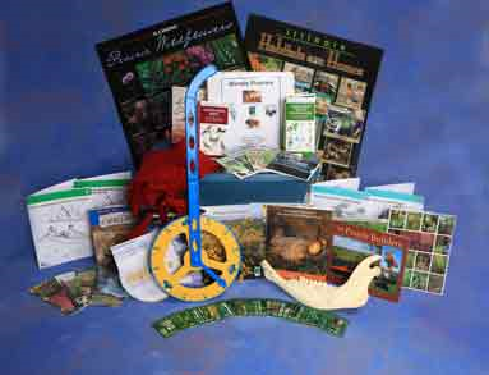 Classroom teachers, homeschooling educators, youth group and scouting leaders, day care center staff and families are among the people who have successfully used this resource. To see a complete list of this trunk’s contents, Click Here. The Illinois Department of Natural Resources has online resources for you to use in your classroom. Visit the IDNR links below for more information. The IDNR has updated their regulations for wild animals and other found items when used in a classroom. Read them here to make sure you're in compliance. Webcasts produced by the IDNR Division of Education are available YouTube. There are lesson demonstrations as well as general information podcasts. The lesson demonstrations can help you preview and set up an activity. Webcasts can be used on your SMARTBoard™. Visit https://www.youtube.com/results?search_query=idnr+webcasts for more information. The IDNR Division of Education has prepared SMARTBoard™ lessons for you. A variety of topics are available. You can find the information by following this link.